First In The "Clergy Collection"
Many around the world came under the influence of the powerful preaching and energetic singing of the Reverend G. W. Lane. In addition to being an effective preacher and singer, Lane was also able to communicate through the printed page. Many of his sermons were distributed through a program known as The Lane Line. This book, part of GEA?s new ?Clergy Collection series? is designed to not only celebrate Lane?s Centennial Year, but to also preserve his remarkable messages for a new generation. This, and future volumes, will preserve several of his remarkable messages for a new generation and be a significant addition to Lane?s list of published works. These inspiring sermons convey the vigorous faith and consistent effort of the Reverend Lane to give the Bible the proper place in the heart and soul of believers, and enable them to witness through a Christian lifestyle. ?Lane believed the Bible was the foundation of knowledge and God?s message to bring individuals into fellowship with Christ. He was certain that the written Word was the inspiration and the imperative for all of life?s pursuits. Beginning his career in his native Texas, Lane ministered as evangelist, pastor, state youth director, and state executive. ?He served his denomination as General Secretary/Treasurer and as a member of the Executive Council. He was also the Speaker for ?Forward in Faith,? an international radio and TV outreach. 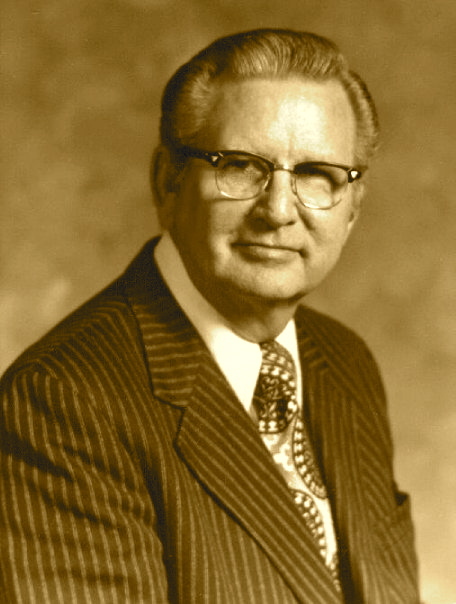 ?During his ministry, Lane published several volumes with titles; such as, Doctrine of the New Testament, Program and Purpose, Material for Ministers, Sermon Nuggets, Pentecostal Persuasion, Bring the Book, But This Man, and The Voice of Calvary. During Lane?s active ministry, he often began a message with the greeting, ?Just came by to tell you?? This book is an effort to ?Preserve the Best? of what he ?came by? to say. "Just Came By To Tell You..."
He was always ready to ?come by and tell you? what he had discovered. And the words he used painted pictures still visible in the imagination of today. Though 30 years have passed? His legacy remains. And his words live on! From my youth I have always considered G.W. Lane my father in the Lord. I can remember so many times preaching one of his sermons and he would come to hear me. Unless he was already scheduled to be somewhere else he would come. On one occasion, I was preaching Lane?s, ?I Met The Master? in a camp meeting and he was the liaison from the denomination?s Executive Committee that night. Paul Barker was in attendance, turned to Bro. Lane and said, ?He?s preaching one of yours and doesn?t even know it.? ?Oh, he knows it,? Lane smiled, ?But he has preached my stuff so much he thinks it?s his.? He always felt it was the greatest compliment one could give him. I loved him so much and missed him so when he was gone. I developed a habit of calling him every Saturday and had the phone in my hand dialing his number when it occurred to me, ? ?he isn?t here.? While only the celebrations of heaven will reveal the fruits of the ministry of Reverend G.W. Lane, I have witnessed first hand the impact of his ministry in my personal life. He was the pastor of the 12th and Elm Church in Cincinnati Ohio and officiated at the baby dedication service when I was dedicated. Eventually, the church moved to its present location on Central Parkway, Cincinnati, Ohio and he left to became a State Overseer and then General Secretary and Treasurer for the denomination. By the time I was a teenager, I was operating the soundboard for the ?Parkway?s? services from a remote room overlooking the sanctuary. Often Brother Lane (who by then served on the Executive Committee) would stop by. Being that he was travelling frequently then, it was not uncommon for Brother Lane to take a respite from the road and ease by the church on Sunday nights after service had begun. He would slip in not to be seen or draw attention. The door to the sound room would quietly open and he would appear. Lane would stand back where he would not be seen and survey the congregation, looking to see who was in attendance. Then he would sit down, and briefly inquire as to the individuals he didn?t see in service and the current events of the church. Then, Lane would quietly, poignantly share stories and detailed experiences from his ministry as pastor in Cincinnati. His stay was always brief, yet purposeful. As the service was coming to an end, he would slip back out and head home undetected by those in church that night. As a third generation Church of God preacher, I have a deep appreciation for our heritage and for those who have helped pave the way for me to be able to minister in this great movement. I am thankful that my grandfather and father preserved their old Camp Meeting tapes and passed them down to me. Among my favorites are the messages preached by Rev. G. W. Lane. Very few men have inspired me the way Bro. Lane has. His fire, passion, and anointing made him different than most preachers we hear today. If I can describe his preaching in one word it would be "alive." Every time I listen to his sermons "God the Word," "I Met the Master," and my favorite, "Not Many Days Hence", I am stirred by the powerful anointing through which he preached. Being a thirty-one year old preacher and too young to have ever seen him preach in person, I feel as if God raised up this man not only for his generation but for mine as well. I am very proud to endorse the release of ?Just Came By To Tell You...? The Collected Works of G.W. Lane, Volume 1. I remember as a child going with my grandfather as he ministered on the weekends. I would sit on the front pew to watch Papaw sing and preach and many times at 8, 9, 10 years old, found myself moved to tears...You know, children can sense if the truth is being told. That truth still resonates with me today. There is a stimulating variety of good preaching here.? The reader will be blessed and encouraged.? Besides these conscious benefits, there will also be a strengthening in the Christian way of life.? 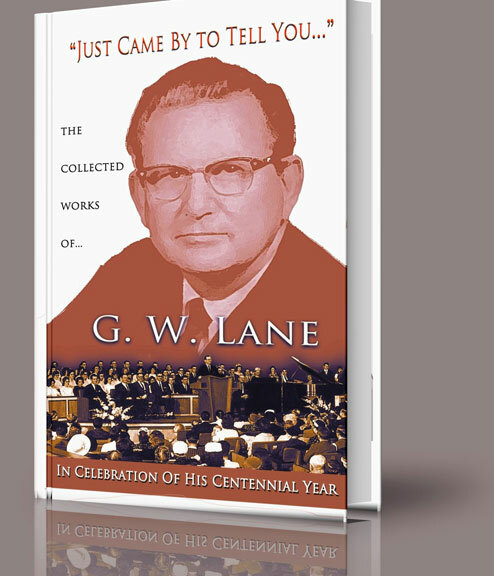 Here is preaching that exalts Christ and reveals the heart and soul of the Reverend G. W. Lane. For a good number of years I observed with appreciation the effective ministry of G. W. Lane.? His preaching was noted for its powerful simplicity and his pastorate for its remarkable evangelism.? The harvest of this ministry was abundant in conversions and spiritual growth.? In addition to his pastoral and administrative duties, author Lane was much in demand for camp meetings and evangelistic campaigns.? His radio and TV ministry won a tremendous following in America, and in many parts of this hemisphere. It is a pleasure to introduce a book of such sound and sincere sermons.? In a day of much preaching and many Christian books, there is a lack of preaching that has the true ring of the Christian gospel. There is a need for preaching that is sound because it is set in the Word of God and that is eloquent because of its earnestness. This is a book of such sermons. ? In most of his sermons, the Reverend G. W. Lane sets forth that the Bible provides for man?s total need.? The sermons vividly portray that God cares for each individual and that there is a Divine way to happiness and an abundant entry into the Christian way of life. ?? Thousands around the world came under the influence of G. W. Lane?s powerful preaching and joyful singing.? His printed and published sermons extended the influence of his ministry.? This volume, some of his best messages, will continue to bless a new generation. ?This book presents a selected group of memorable sermons which convey the vigorous faith and consistent efforts of the Reverend Mr. Lane to give the Holy Bible the proper place in the heart and the lifestyle of followers of Christ. ? This is a frenzied world.? There are many hucksters on the streets attempting to sell their wares.? Various panaceas are being offered as a sure cure to humanity?s many ills.? To risk any one man-made remedy or a combination of such, as a means to attain answers to our questions and satisfaction of our desires is dangerous and deadly.? The hope of the world is to be found in the Bible ? the Book of Books. ? ?May this book inspire you to lay hold of peace and strength through the Word of God. ?